Alice A. DiBiase, 91, passed away peacefully on Thursday, January 31, 2019, with her loving family by her side. 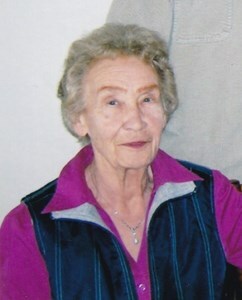 Alice was the daughter of the late Stephen and Caroline Tomczak. On April 11, 1959 she married Salvatore and raised their 2 children in Staten Island before moving to Colonie. She was a devoted wife, mother, grandmother, sister and aunt. She was an avid bowler and golfer. She enjoyed cooking, volunteering and adored spending time with her grandchildren. In addition to her parents and her husband, she was predeceased by her seven siblings. Alice is survived by her children, Joan Wunning and Steve (Janet) DiBiase; she is the adored grandmother of, Julianna DiBiase, Daniel DiBiase, Christopher Wunning and Brian Wunning. She is also survived by several nieces and nephews. Calling hours will be held at New Comer Cremations & Funerals, 343 New Karner Road, Albany, NY on Monday February 4, 2019 from 9:00 am to 10:00 am. A funeral service will be held at 10:00 am at the funeral home. Burial will follow the service at Memory Gardens, Colonie, NY. Memorial Contributions may be made to the Mohawk Hudson Humane Society, 3 Oakland Ave, Menands, NY 12204 or to the Alzheimer's Association of Northeastern New York 4 Pine West Plaza Albany, NY 12205 in Alice's memory. The family would like to thank the entire staff at Kingsway Manor Memory Care for all of their love and support. Add your memories to the guest book of Alice DiBiase. I am so so sorry for your loss. You are all in my prayers and thoughts. Joan and family, I am so sorry for your loss, my thoughts and prayers are with you and your family. Joan, thinking of you and your family. Please take comfort in knowing how well you took care of your mom and all the love you showed her.